“I haven’t read the script for ‘Episode 9,’ but Daisy did shoot me a text saying, ‘Oh my gosh, I just heard from J.J. [Abrams], and we’re back together. That’s what I’m really excited about, is Finn and Rey back together again.'" "I think it’s going to be all-out war in this final chapter, so we need to be prepared." "One question I’ve always had as an actor being involved in Star Wars is why Finn decided to defect in the first place. I still don’t understand. I would love to know more, to go into his life as a Stormtrooper." Personally, I have about a hundred other questions that I'd like answered before we get to something like that. 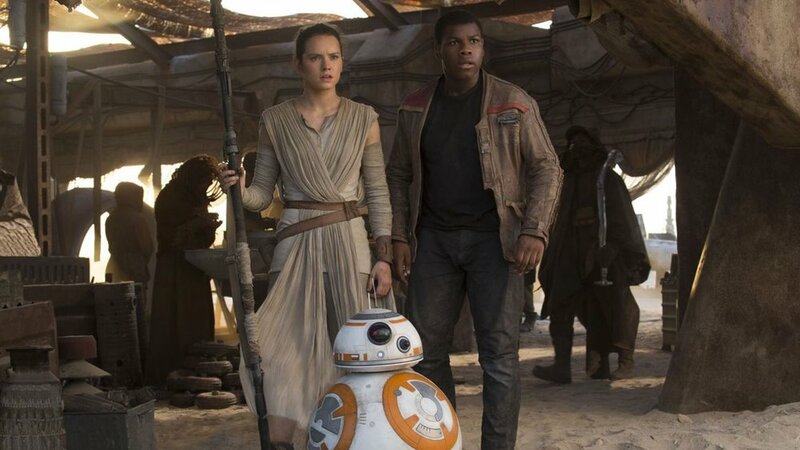 But, one thing we can count on at this point is that Rey and Finn will reunite for this final adventure and I can't wait to see where it leads them.